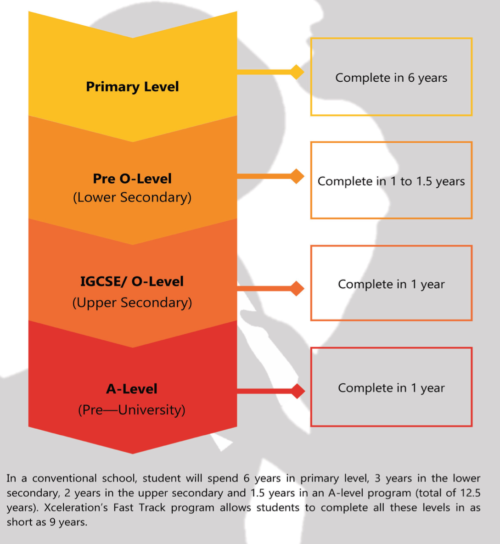 Edexcel International Advanced Level (IAL) is offered as part of our Accelerated Competency Coaching Program (ACCP) that is designed to teach students based on his/her learning ability and competency rather than his/her age in a small group environment. We adopt the UK Edexcel International Advanced Level (IAL) syllabuses. Pearson Edexcel is one of the world’s largest provider of international education programmes and qualifications for 14-19 year old. Their syllabus are continuously updated and reviewed so that students gain skills to transit to their higher education and a rapidly changing world successfully. We teach our students to UNDERSTAND rather than to MEMORISE the subject. We instill passionate learning so that the students find their purpose in their studies. Students are encouraged to always ask if in doubt. We are into “Small Room Attention” as opposed to the “Packed classroom” environment. A small student-to-teacher ratio means that our students will get the necessary attention and care they deserve. Problems such as learning difficulties and discipline issues are detected more quickly and resolved in a “Small Room Attention” environment. Xceleration is best viewed as a staging-post between high school and College/University. Unlike conventional schools where students are conditioned to think and follow rules, here we train them to be independent thinkers and to take responsibility for their own actions. This is especially true with the aspect of a student’s life associated with academic work, such as getting to classes on time, completing homework and meeting deadlines, producing work of quality, thinking critically and creatively. These important skills will equip them to excel in College/University where rules are minimal and the ability to work and think independently and unaided is the key to success. All our teachers are qualified and experienced who are not only experts in their fields but also passionate about passing on their knowledge to others. Our aim is to build confidence by instilling in our students the same passion, enthusiasm, and excellence for the subject that we have as teachers. At the same time, we strive to create a secure, friendly, family-type environment in which students can learn and grow as young people. Our teachers take pride in their work and are well acknowledged by our past students and parents. Your child will feel the difference when they step into the classroom.